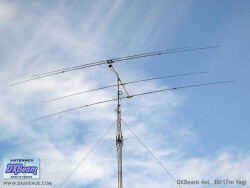 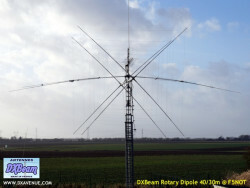 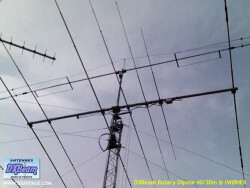 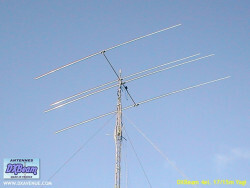 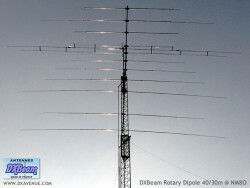 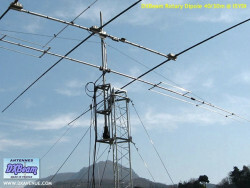 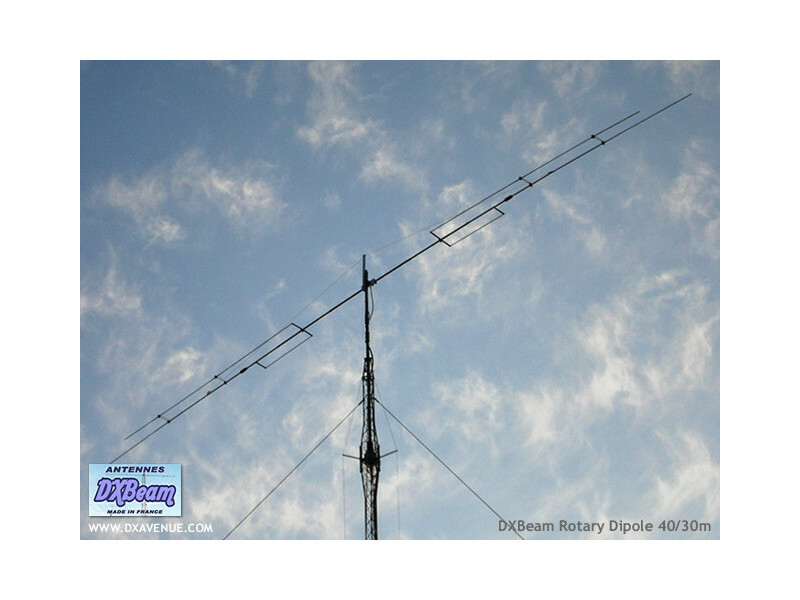 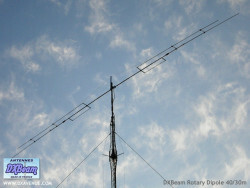 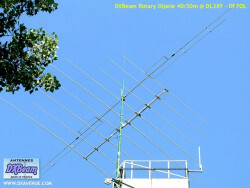 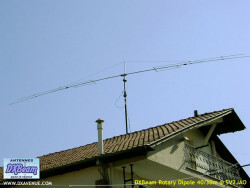 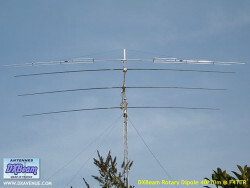 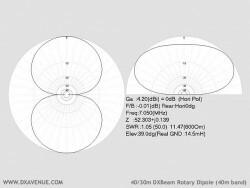 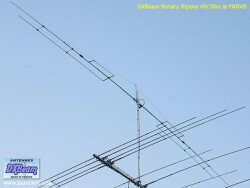 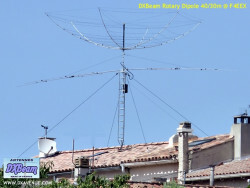 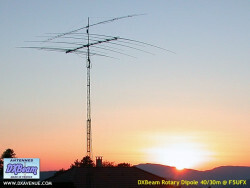 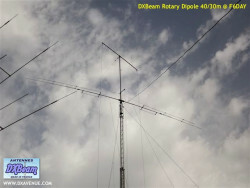 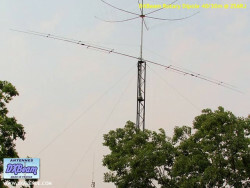 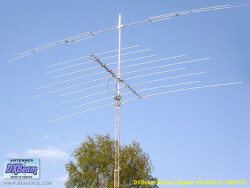 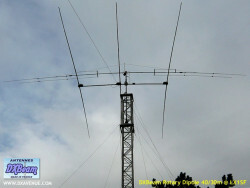 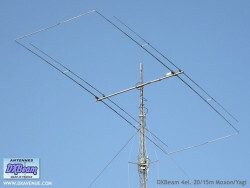 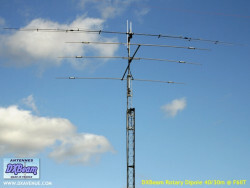 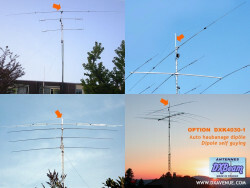 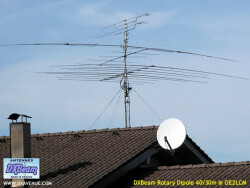 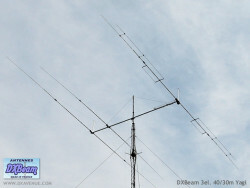 40/30m rotary dipole (7-10 MHz). 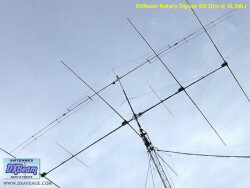 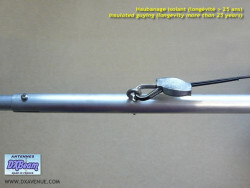 This rotary dipole is supplied with two guys in polyester (longevity > 25 years), quick fastening system and guy clamp that will be fixed to the mast (about 70 cm above the antenna). 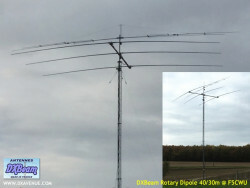 As an option, a self guying kit allows you to place the rotary dipole DXBeam at the top of mast (regardless of the height required for guying). 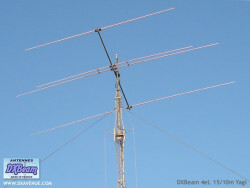 It also allows the guying of the dipole to the ground (easier), and install the antenna without adjust the guys when antenna is up. 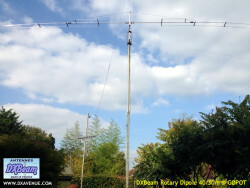 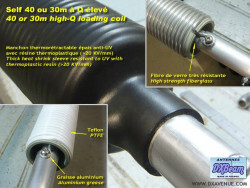 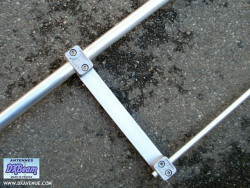 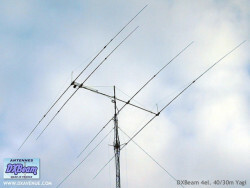 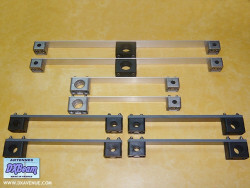 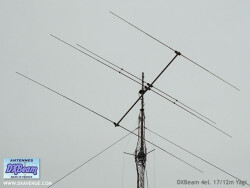 Self guying kit for DXBeam 40m or 40/30m rotary dipole.